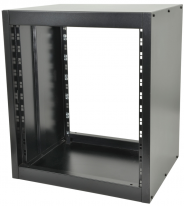 19" BLANKING PANELS Steel 19" rack mounting blanking panels available in blank and ventilated versions. 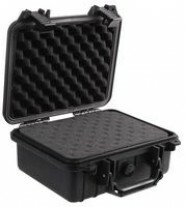 Supplied with 4 s..
20 piece set of M6 captive nuts, bolts and plastic washers for fixing equipment to standard rack strip. 20 x M6 captive nuts.. 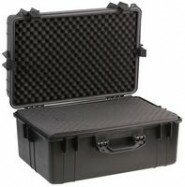 Product Information Manufactured from lightweight ABS material, the protective Protex ABS rack cases utilise a high density ABS..
ABS plastic transport cases for 19" equipment with shallow depth. 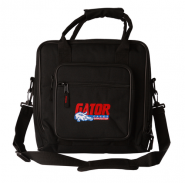 Ideal for wireless microphones, audio processors and r..
LOCKABLE METAL DOOR Available for most rack sizes. 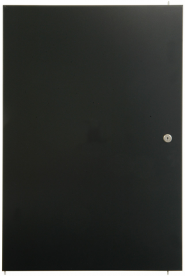 Fitted with hinges and lock supplied with 2 keys. 1mm black powder coated st..
19" EQUIPMENT RACKS - 435mm 1.5mm zinc coated steel equipment racks in black scratch resistant textured powder coated finish. 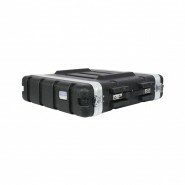 S..
19" rack cases designed to house media players or mixer units. The rack strip sits onto a fixed incline for easy operation. Plywoo..